Pitiona is the name of one of the emblematic herbs of Oaxacan cuisine that Chefs know well and with which they prepare authentic meals such as iguana mole or seafood broth. Its flavor resembles that of guava, but with a “picantito” or slight spicy taste. Pitiona is also the name of one of the most important restaurants in the state capital, whose guide, Chef José Manuel Baños, seeks to convey the love and admiration towards his roots with his unique dishes. His recipes are a gastronomical tour that guides your palate through the entire state, ranging from the Mixteca, through the Central Valleys, to the coast where he grew up; his cuisine expresses the richness and beauty of Oaxacan coast, fields and the extensive sierra. Oaxaca is a region full of subtleties and secrets, its history superimposes strata of flavors that are amalgamated in its fruits and dishes, many of which would have disappeared some time ago if not for the markets, home to ingredients that are the base of what many would call magic, same which in well-seasoned hands make their way into many of our favorite recipes. But not everyone can immerse themselves in markets without losing their senses in endless stimuli, only those heirs of a long tradition distinguish in the apparent chaos of smells, tastes, colors and names – the raw material to make the desired dishes. Chef Baños belongs to this crew -having learned to cook with his grandmother, his mother and his aunts- many of his recipes at Pitiona draw on his experiences with them, as well as on his own research on Pre-Hispanic cooking. If this is your first time at Pitiona, Cocina de Autor the Chef suggests you try the tasting menu, a sample of varied creations with different preparations. 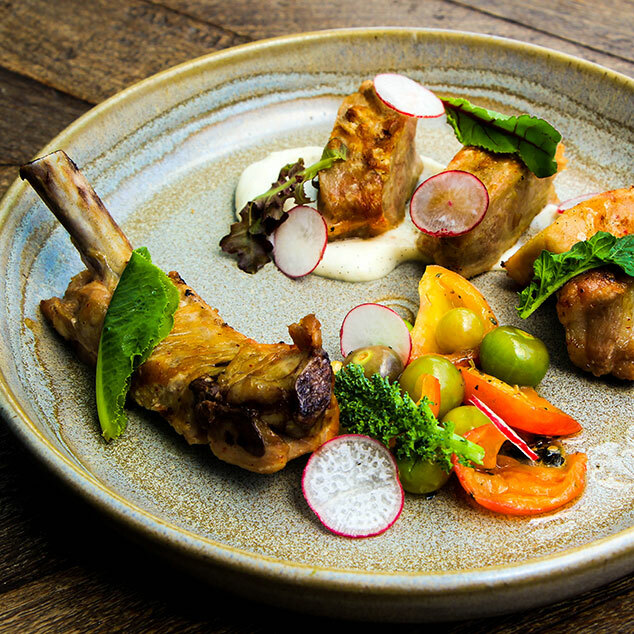 Likewise, Pitiona offers a special menu pairing select meats with the best Mexican wines, Mezcal and beer. An similar alcohol-free option is also available paired with fresh flavored waters including: lime, guava, mango and passion fruit. Most ingredients highlighted at Pitiona honor and celebrate Oaxacan land and coastal cultures, ensuring that 95% are Oaxacan and 5% from the rest of the country, recognizing the variety of flavors, traditions and products that Mexico offers. Therefore, corn, a variety of chili peppers and tomato, dominate the flavors of beef, duck, quail, venison, pork, as well as fish and seafood; all served with side dishes that vary according to the season. 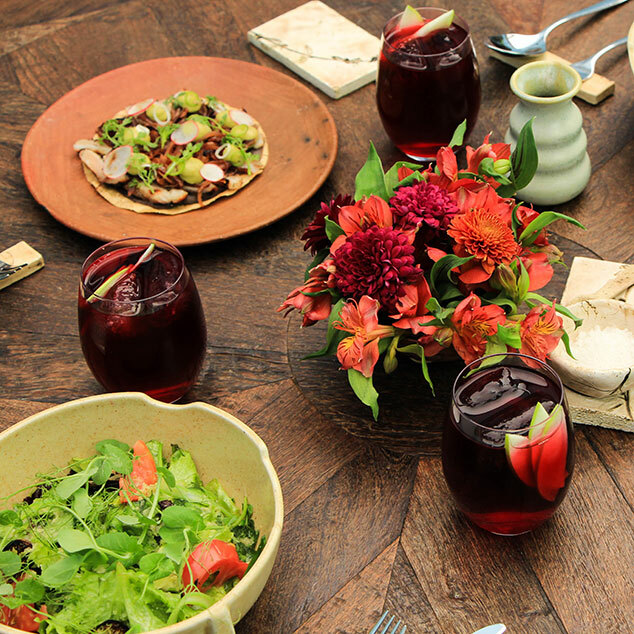 Pitiona’s kitchen has traveled the world, proudly packing the flavors of Oaxaca with it. It is these memorable tastes and quality that have earned Pitiona, Cocina de Autor a coveted spot on the S. Pellegrino’s 50 Best Restaurants in 2014. Pitiona is currently working towards the opening of a terrace, allowing diners to enjoy magnificent cuisine in the company of great mezcal, wine or beer with majestic views of Oaxaca’s historic downtown. We will soon also offer banquet options for large events with the recognized quality that Pitiona, Cocina de Autor caters. Similarly, a new research workshop is in the works directly within the restaurant facilities, where in addition to continuing our effort of discovering and enhancing Oaxaca flavors, Pitiona will also offer Cooking Lessons open to the public. As per our Executive Chef José Manuel Baños, he too is further enhancing his creations with the inauguration of a new fine dining restaurant in Querétaro by the end of this year. He is also developing a project with a renowned restaurateur group to open four new culinary establishments in Mexico and the United States; Monterrey, Puebla, Mexico City and, finally, in San Antonio, Texas. In the same fashion, José Manuel has conceived the idea of creating an Oyster Bar on the outskirts of a beach club in Puerto Aventuras. 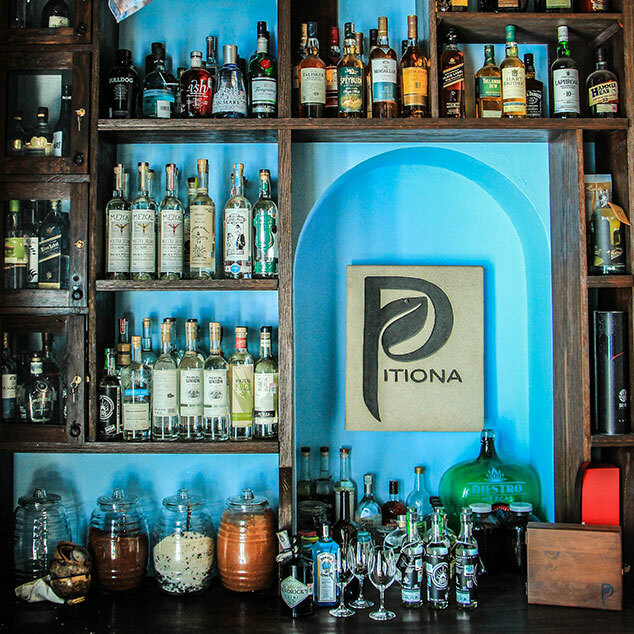 Thus consolidating Pitiona as an exclusive and full-service restaurant. Pitiona, Cocina de Autor is already amongst the most sought out establishments, both nationally and internationally, now we are expanding the group to varied pin-pointed location around the country to raise awareness of Oaxaca’s majestic culture. In Pitiona each one of the unique spaces of the restaurant are subtly defined, emanating different sensations that are perfectly integrated with the gastronomic proposal of chef José Manuel Baños and the warm and professional style of his team. Monday to Saturday: 13:00 – 23:00 hrs. Sunday: 13:00 – 21:30 hrs.